It’s summer, which in my house means a constant mess. 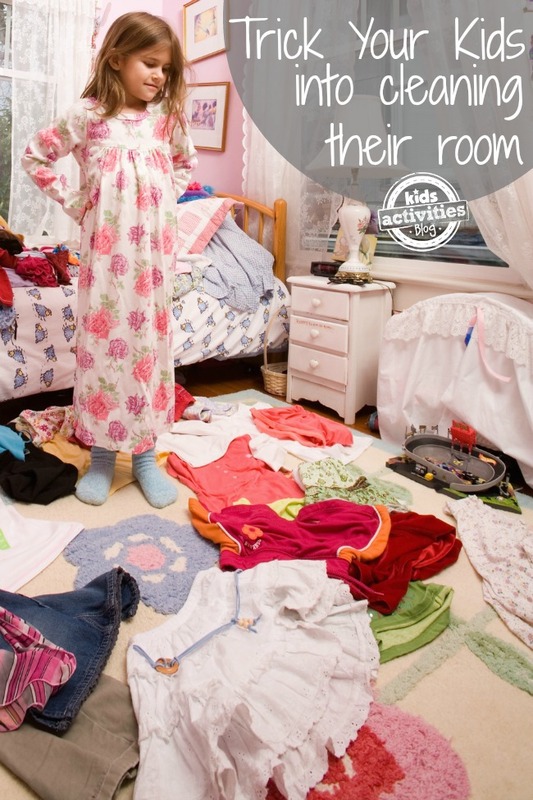 The kids are making messes faster than I can clean them. But that’s okay, because I know the trick. 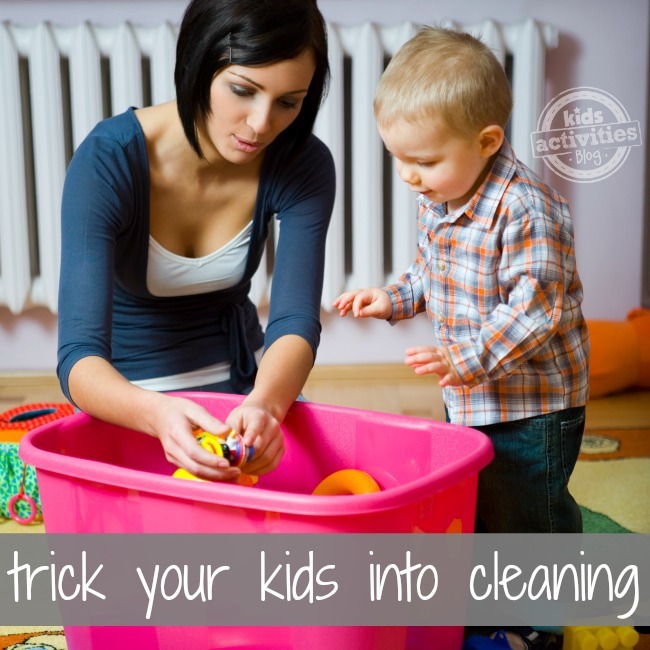 I know how to trick kids into cleaning. I am not by nature a clean person. I make giant messes everywhere I go, and then I get overwhelmed by my mess and can’t imagine picking up the whole thing. On more than one occasion, I have just walked away and hoped someone else would come in and clean up after me. It’s lazy and it’s selfish, but that’s how I feel! And she was right. I looked at that mess, and it was too much for a grown person to think about tackling, it must look like impossible to a three year old! How will she ever learn to organize toys? Then, I upped the ante. “Pick up seven things.” We kept going. We went as high as she could count! She’s learned how to break up the giant task of cleaning her messy room into smaller more manageable tasks. That’s something I wish I could do! Oh, and let’s not forget about the learning aspect of all this: one-to-one correspondence! My daughter was a master at this when she got to kindergarten! Previous Post: « Pom-pom Storage – and tot play idea.